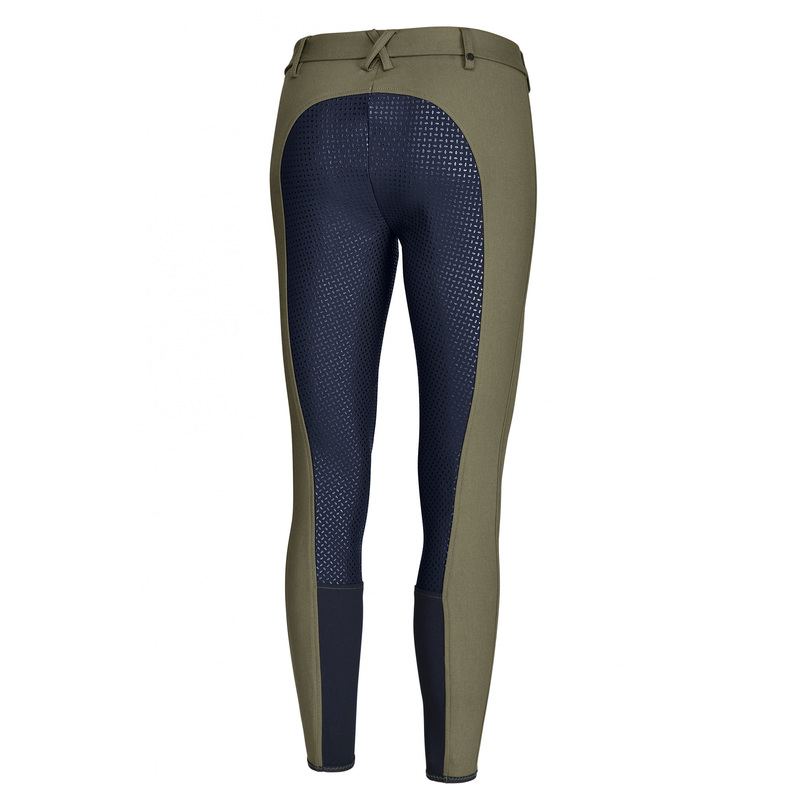 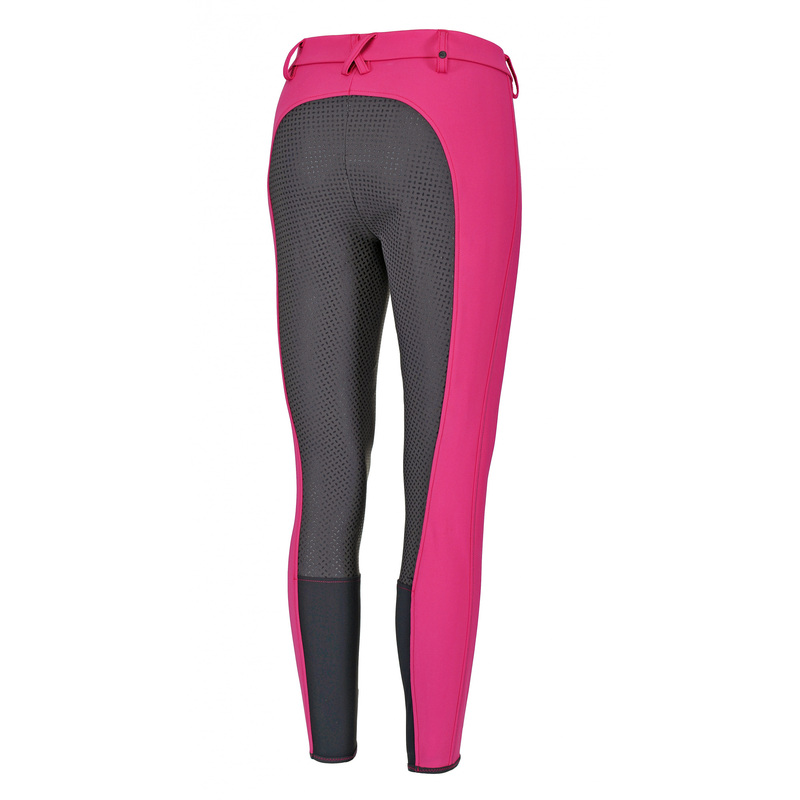 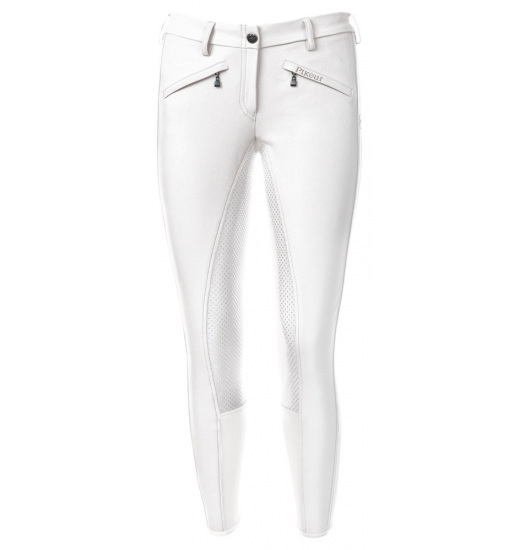 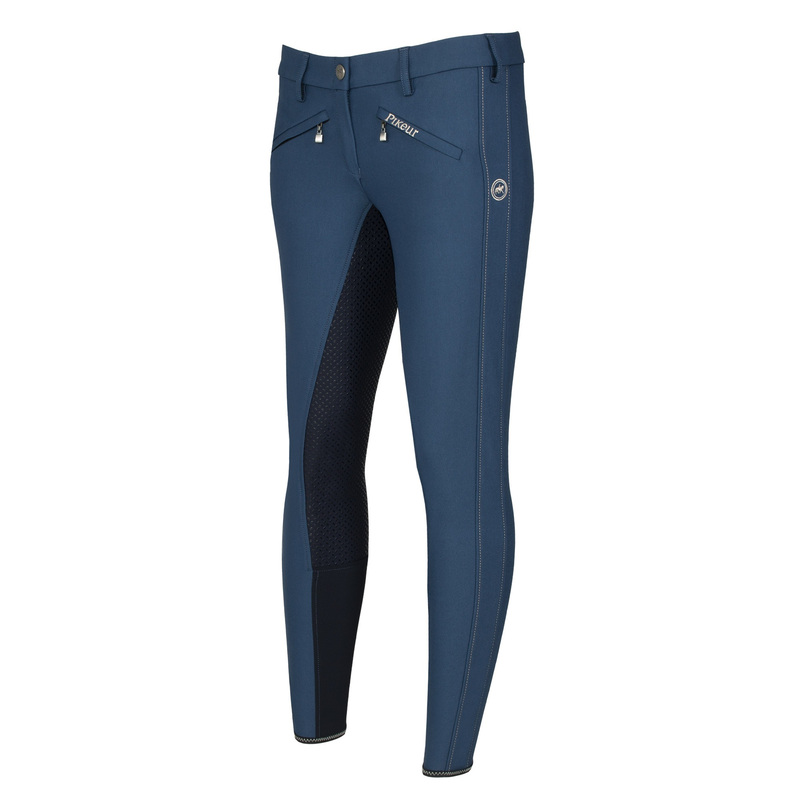 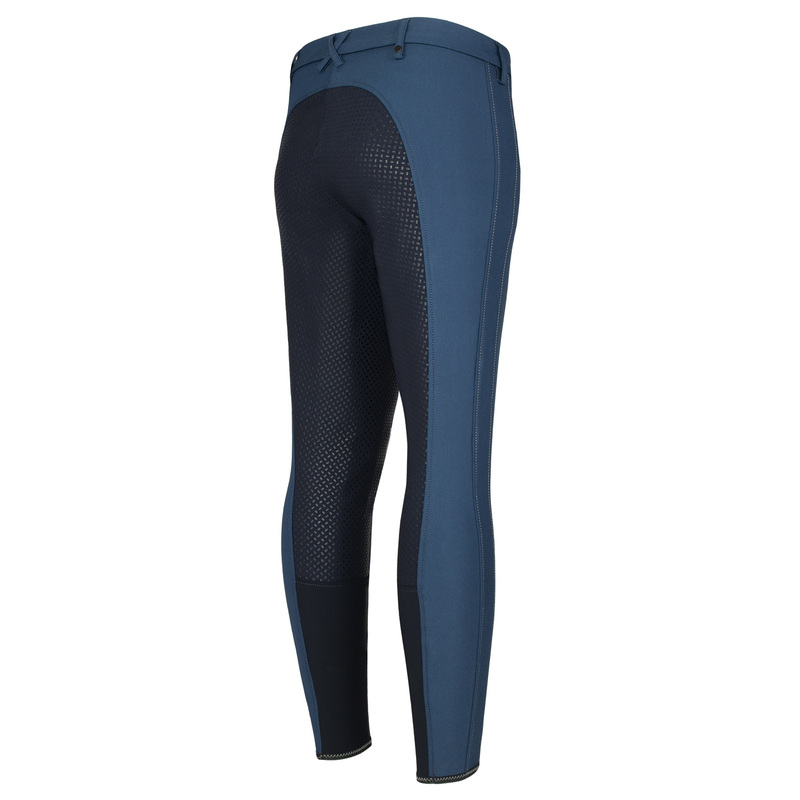 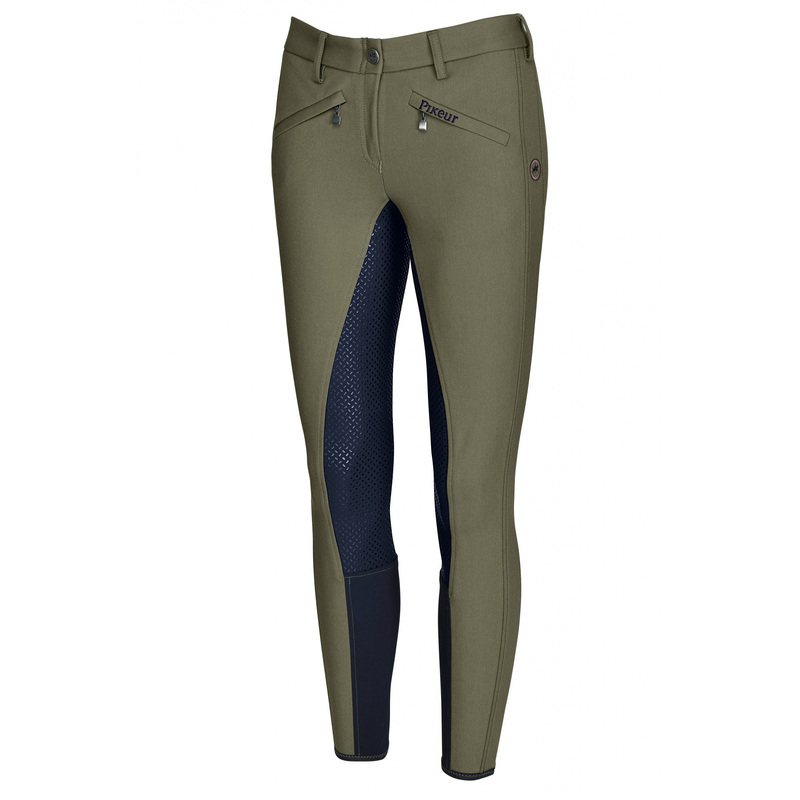 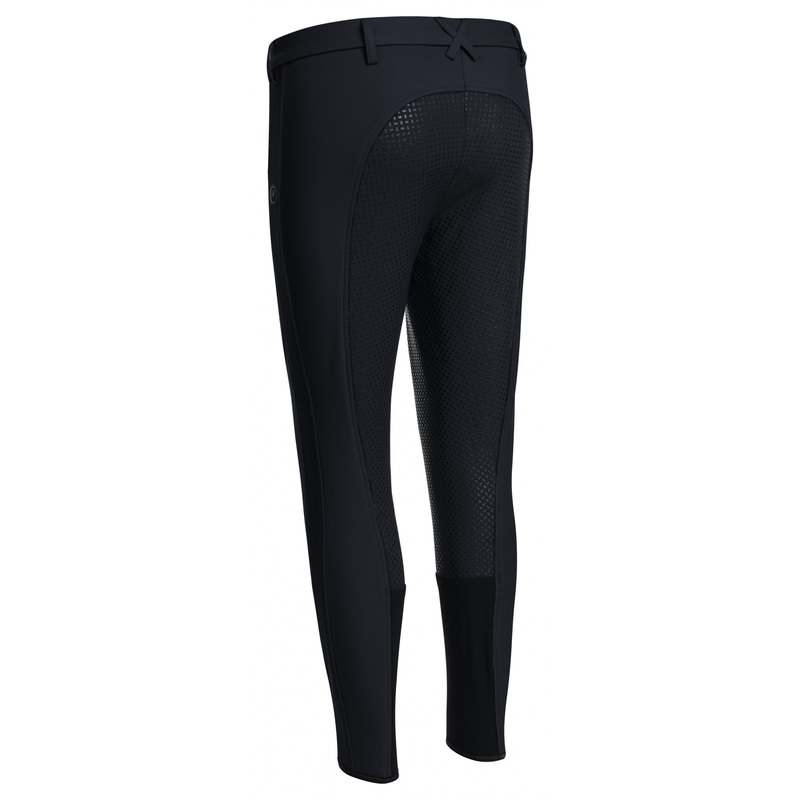 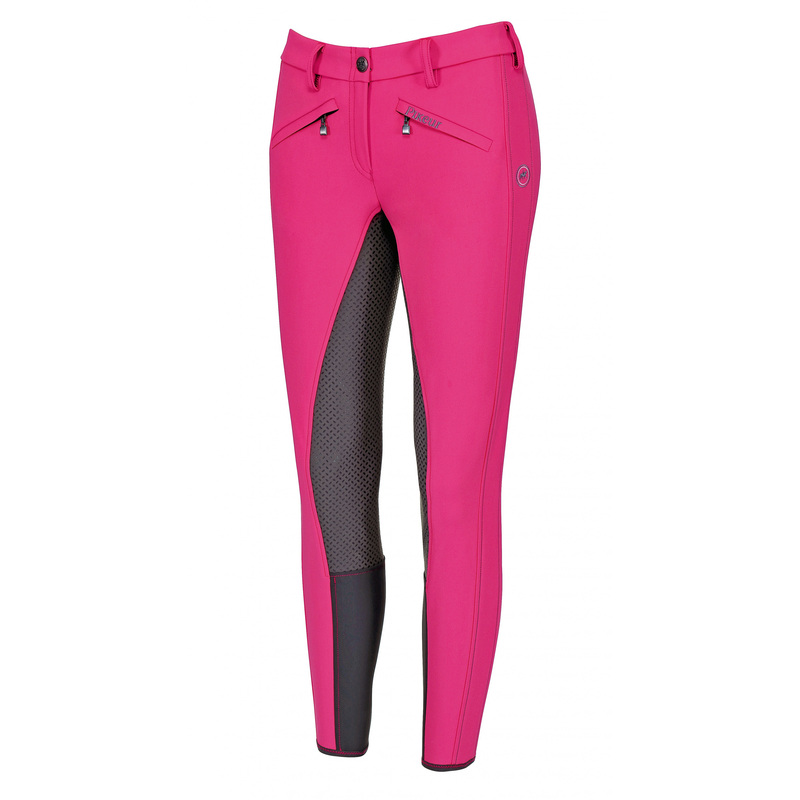 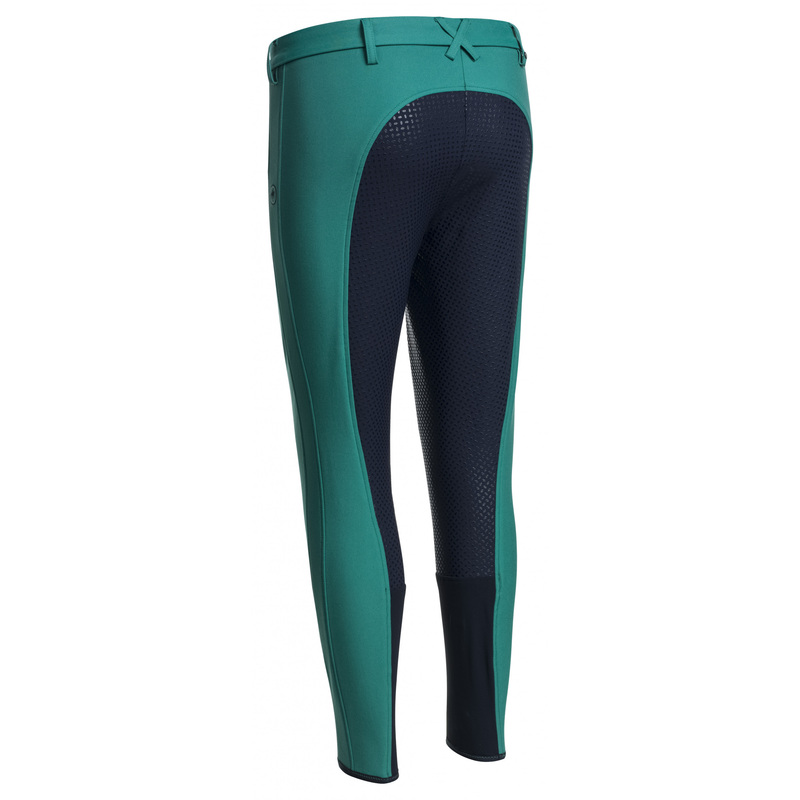 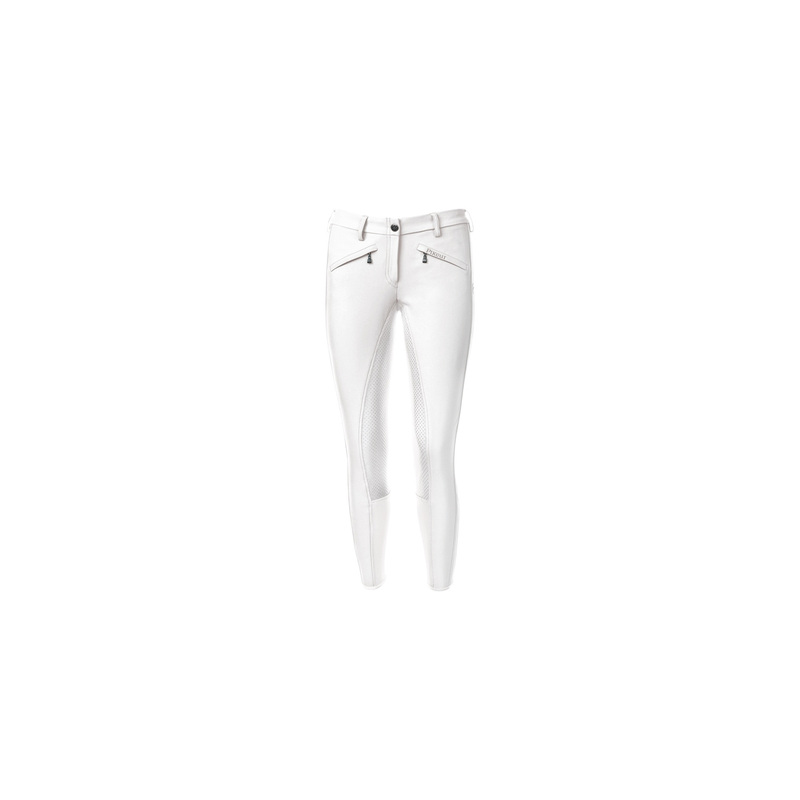 Comfortable ladies' breeches made of the highest quality breathable materials with a slightly lowered waist. Their 3/4 grip is covered with silicone, which provides excellent adhesion to the saddle. 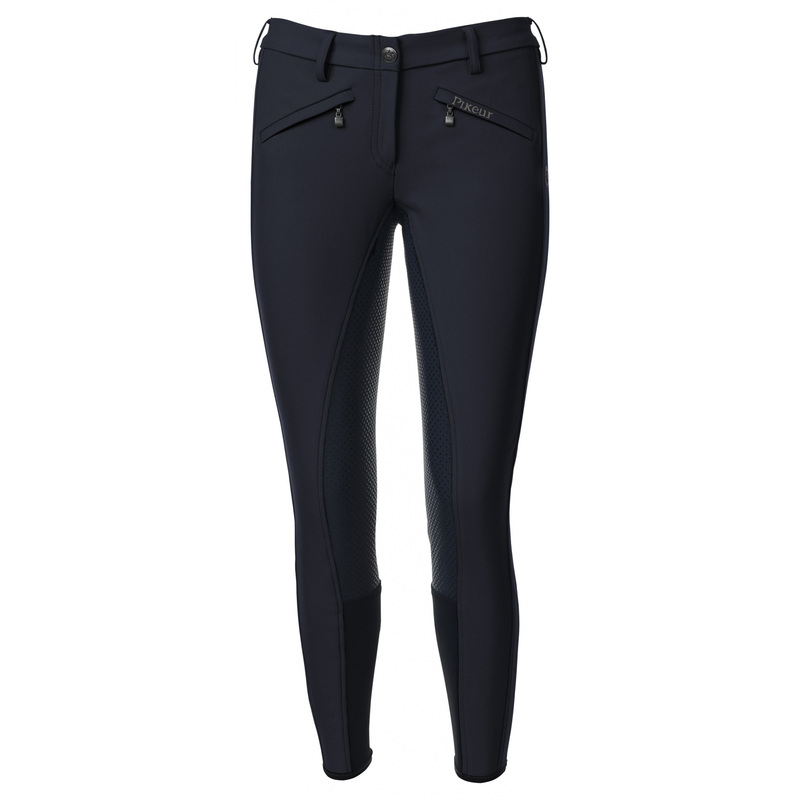 The breeches have two zippered pockets. For perfect fit, the inner parts of their legs are made of elastic material. 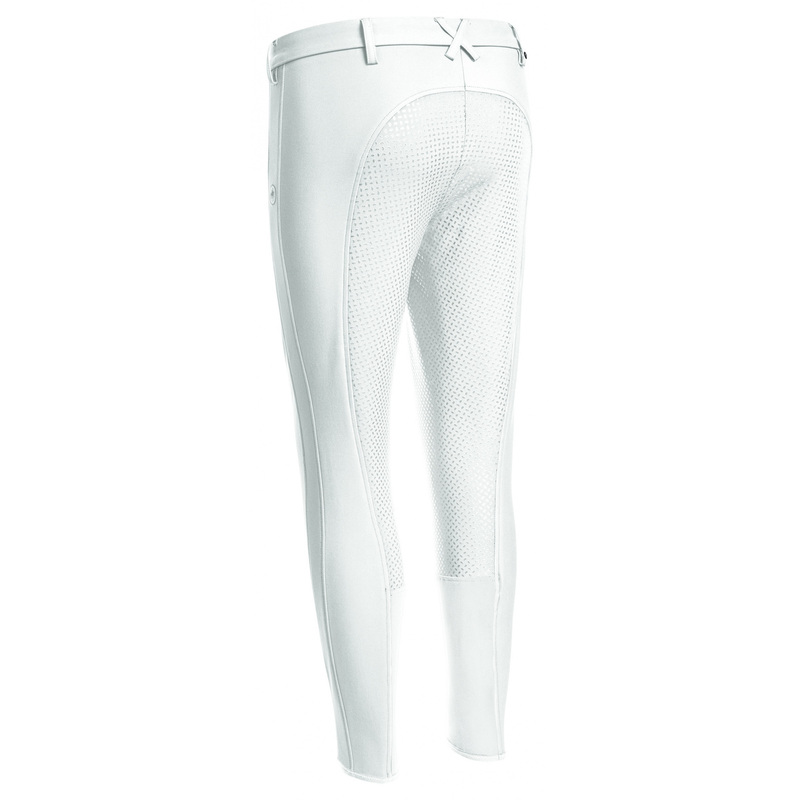 They are decorated with a writing on a pocket and a logo on the left thigh.